Four color side table, one of a kind with colors that were mixed on site to specific color requests. 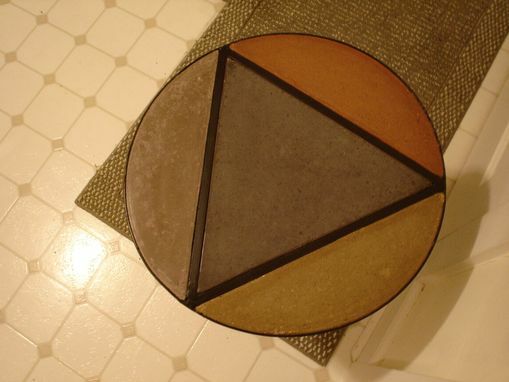 Modern design with a steel triangle flush with the surface seperating the colors. 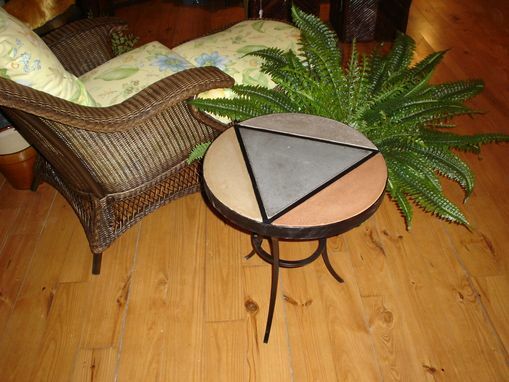 Table is made of concrete, and stand is steel epoxy painted for durability.